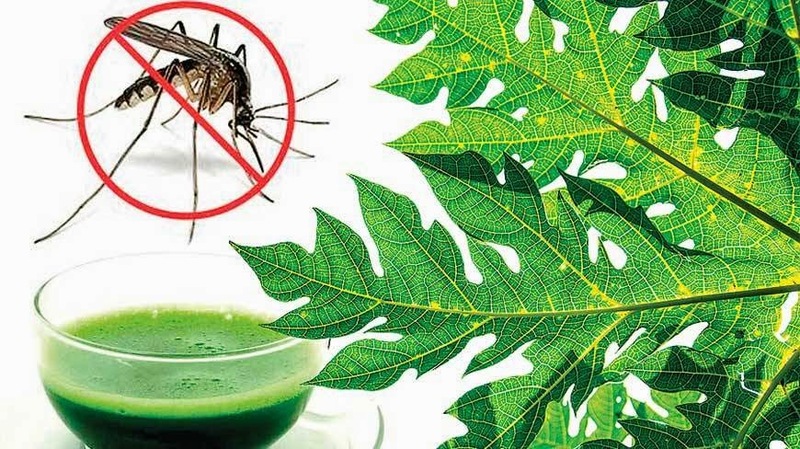 The Institute for Medical Research (IMR) will soon release pamphlets on the correct use of papaya leaf extract in the treatment of dengue, as clinical studies have shown it to increase blood platelet count and assist in the recovery of those with less severe complications. In a letter dated Sept 23 to all state health directors and the Ministry of Health, IMR said that the clinical study conducted on papaya leaf juice had proven that it can treat dengue in terms of increasing blood platelet. The letter said that with the high number of dengue cases, and in line with the Health Ministry's endorsement on the use of papaya leaf juice, IMR will share its findings and give details as to the correct way of preparing the treatment. It had also furnished the pamphlets to the state health directors and the ministry. In April last year, the Evidence-Based Complementary and Alter­native Medicine Volume 2013, Article ID 61673, published findings showing that the consumption of Carica papaya leaf juice induced rapid increase in platelet count in patients with grade one and two dengue fever and the fatal dengue haemorrhagic fever. IMR and the Tengku Ampuan Rahimah Hospital in Klang carried out a random controlled trial on 228 patients in the hospital. Half were administered with 50gm of fresh Carica papaya juice for three consecutive days and the other half received standard management. There was a significant increase in platelet count among the patients in the experimental group compared to those in the control group. The use of papaya leaves as an alternate treatment to increase blood platelets has shown positive sign that it could be used to treat dengue fever. Prior to this, several medical institutions have conducted research on papaya leaves to determine its effectiveness to treat a variety of diseases including diabetes. However, it was discovered the leaves were more suitable to treat dengue fever. "We began the research in 2008. We wanted to determine how the papaya leaf worked to increase (blood) platelet on mice. "Based on our finding in the pre-clinical test, within four hours, the platelet count on each mouse rose three times higher. Papaya leaf has lots of enzymes which help increase blood platelet. "This research was actually published in The Middle European Journal of Medicine in 2009, and it was actually a foundation for people to work on," AIMST University researcher Dr V. S. Kathiresan told Bernama when met at the university near here. He said, although the research was conducted earlier and announced via the media, not many people were bold enough to use the papaya leaf as it was not clinically proven to be effective. "Our earlier research did not involve the public but now, it's clinically proven. There was no continuation (after the early research) because pre-clinical tests dealt with mice and there was no problem. "However, when tested on humans, there are certain regulations which need to be dealt with," he added.